Latest ebay purchase. 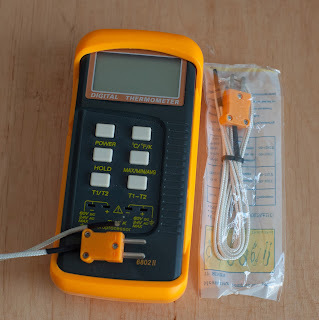 This is a digital thermocouple amplifier that came with two thermocouples that can go up to 500 Deg C and one stainless steel probe, total price was 12GBP. The 2 thermocouples will be buried in the hearth at different depths.